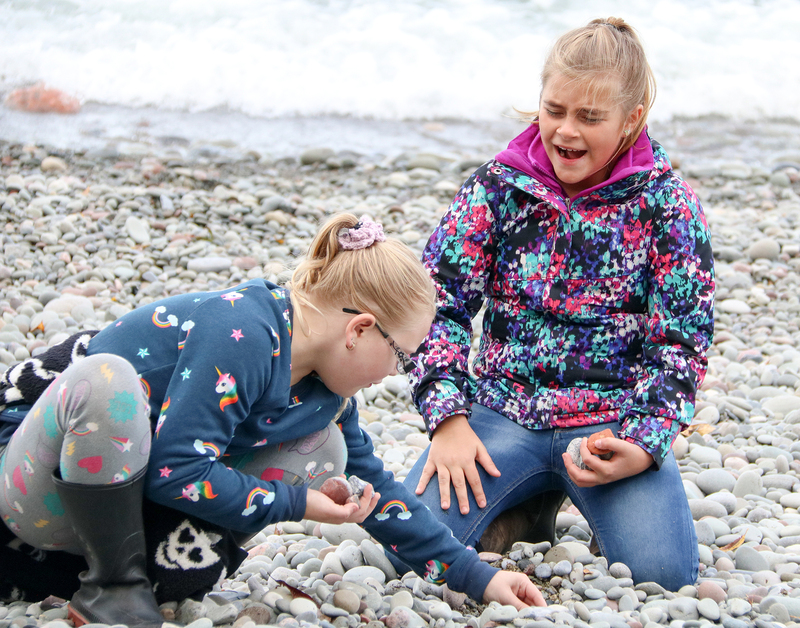 Jaylynn Amyotte and Madalyn Smith examine rocks along the lakeshore as they work to identify the rock type through various characteristics. 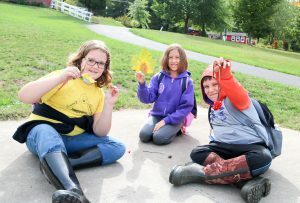 Fairley Elementary students recently participated in a hands-on science lesson as they explored the lakeshore, plant life and the ecosystem during a field trip to Camp Hollis. The two-day field trip provided fourth graders with a chance to apply their science education in a real-world setting. Students hiked through nature trails and identified various plant and animal life. They also strolled along Lake Ontario, looking for characteristics to determine whether rocks were sedimentary or metamorphic. Fairley Elementary fourth graders show off some of the items they discovered along the nature trails at Camp Hollis. Students learned about a lot of different things during the field trip, said members of the fourth grade teaching team. They investigate pond water too, looking for different insects and plant life. Once they collected various samples, students recorded their findings in notebooks and were excited to bring that information back into the classroom.